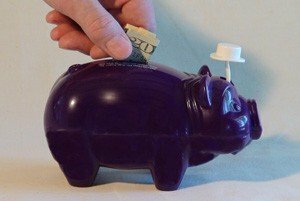 The Purple Pig is the fundraising arm of the California-Hawaii Elks Association Major Project, Inc. (CHEMPI). The California-Hawaii Elks have raised over $116.2 MILLION since 1950 to address the unmet needs of children with disabilities by developing a program of supporting services to aid these children at no cost to their families. Request a Therapist or Preschool Vision Screener to visit your Lodge by completing a Form 11 – Request for Professional Staff Participation. See how Elks help out, first-hand and up-close, and meet our Theme Child presented at our Annual Convention on Saturday morning prior to our Exalted Ruler’s March. Click here to see future convention dates.